Quality concrete is produced from 4 plant locations and is delivered throughout the desert Southwest. 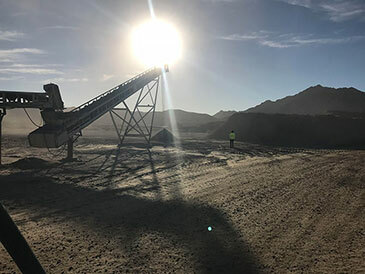 Mined from the Muggins Mountains, just 15 miles northwest of Yuma, off Highway 95, our aggregates are of superior quality and delivered daily to our concrete and asphalt plants. Utilizing pump trucks enables builders to access long reaches behind buildings and onto multiple floors, saving hours of labor and costs. 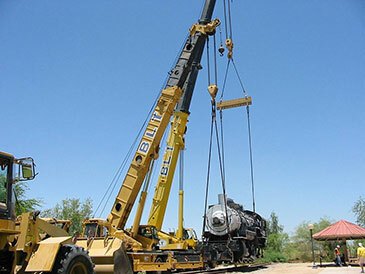 Our fleet of hydro cranes range with lifting capacities up to 210 Tons and includes a history of lifting a huge variety of equipment from mining machines and power turbines to NASA’s Orion space capsule and Yuma’s own historical train engines. 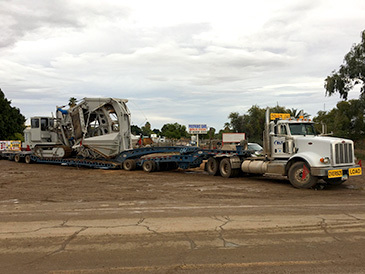 Lowboy transports allows for quick delivery of heavy earth moving equipment and machines for any contractors’ needs. 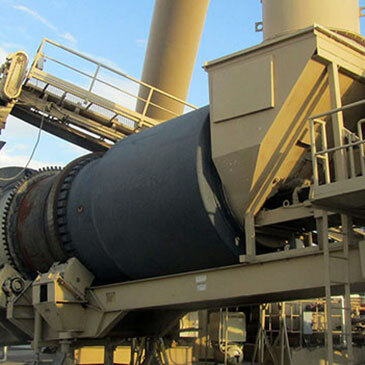 BLT Companies' Asphalt Plant consists of a CMI 400-ton per hour continuous mix plant with three 200-ton overhead storage silos and a double scale load out system. The 4250 CC Track Mounted Crusher runs on a 400 HP Cummins Diesel and crushes up to 400 tons per hour. BLT Companies is locally owned and operated in Yuma, Arizona and offers services 24 hours a day throughout the Southwest United States. 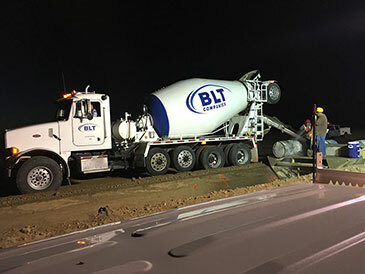 BLT Companies provides Ready Mix Concrete, Sand & Gravel, Concrete Pumping, Crane Rental and Heavy Haul Transportation, BLT Companies is available for service today. 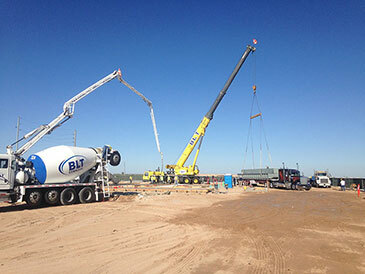 BLT Companies' Ready Mix Concrete production facilities are certified by the National Ready Mixed Concrete Association and are all ADOT certified. BLT Companies' Sand & Gravel materials are transported to the Concrete Batch Plant from the Aggregate Pit located on Highway 95, just 15 miles north of Yuma. BLT Companies' Concrete Pumps have dramatically decreased the work load on concrete contractors throughout the Southwest United States. BLT Companies' Heavy Hauling division offers numerous types of conventional and non-conventional hauling trailers for many types of loads.